Frankly I got tired of switching back and forth between Windows and Linux.
! You need to have installed both your OS'es in dualboot already.
! This is hardly a tutorial. These are roughly the steps I followed when setting up the box. Getting the required packages etc is your responsibility.
! You will need your Windows 7 CD (altho ISO will do fine too). First, add yourself to the "disk" and "vboxusers" group. This will allow you to access the other partitions without needing root permissions. This may be considered dangerous for some reason 🙂 Also logout and back in after doing this. In the examples, I'm the user "cedric". Now find out which partitions you have installed Windows on. 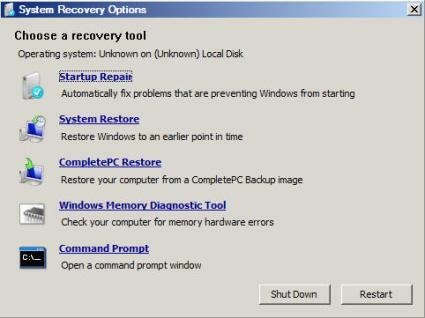 Usually you will see a 100MB sized boot partition and your NTFS partition with Windows 7 on. You need both for the next step! We'll now create a Virtual Machine Disk (VMDK) of the partitions we want to use in the VM. Sometimes you may also want to add extra partitions to have them shared between Linux & the VM. In my case, the required partitions are sda1 and sda2. I also choose to add sda7. Now go in VirtualBox and add a new VM for Windows 7 x64. Load win7.vmdk which you created earlier. In my case I got to deal with permissions problems. Make sure you are the owner of win7.vmdk files and bootrec.mbr. If that still doesn't solve the issue, you may have not logged out and logged in again after the first step. You may have to repeat this on every boot of the VM. Now go in the settings for the VM. In the System tab, enable I/O APIC. When you have done that, it's time to boot up your VM. Startup will most likely fail. The VM may restart and hopefully you will be able to get to your login screen. My congratulations also come directly with a warning. Do not attempt to install the VirtualBox tools. In v3.2.4 they make integration work perfectly in the VM, but when running natively, your mouse and keyboard will go loco. There are also drivers available to get your audio working (make sure to select AC97 as your audio driver in the VBox settings), get them here and install them on your VM. If you can't use the first option after "Repair installation" (screeny), then click the second one "Restore your computer using a system image you've created earlier". An alert will popup, but cancel/ignore/kill it. Cancel this dialog too, and you will get to a screen that will give you a couple of options (screeny). Hopefully that fixed a couple of things. Reboot.